Free shipping on BSN Syntha 6 Edge! 24g Of Protein To Support Growth & Maintenance Of Muscle! Syntha-6 Edge – The Cutting Edge In Taste & Nutrition! 24g Of Protein, 11 Essential Amino Acids, 150 Calories Per Serving! 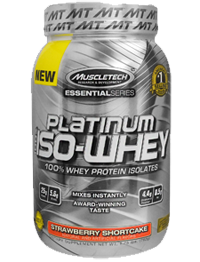 Ultra-Premium Protein To Support Growth & Maintenance Of Muscle! Other Ingredients: Protein maxtrix (whey protein concentrate, whey protein isolate, hydrolyzed whey protein, calcium caseinate, micellar casein, milk protein concentrate), sunflower powder (sunflower oil, corn, syrup solids, sodium caseinate, mono-and diglycerides, dipotassium phosphate, tricalcium phosphate, soy lecithin, tocopherols), natural and artificial flavor, lecithin gum blend (cellulose gum, xanthan gum, carrageenan), salt, sucralose, acesulfame potassium.